In Greek mythology, Iris was the goddess of the rainbow, a messenger for Zeus and Hera who rode the rainbow as a multicolored bridge from heaven to earth. 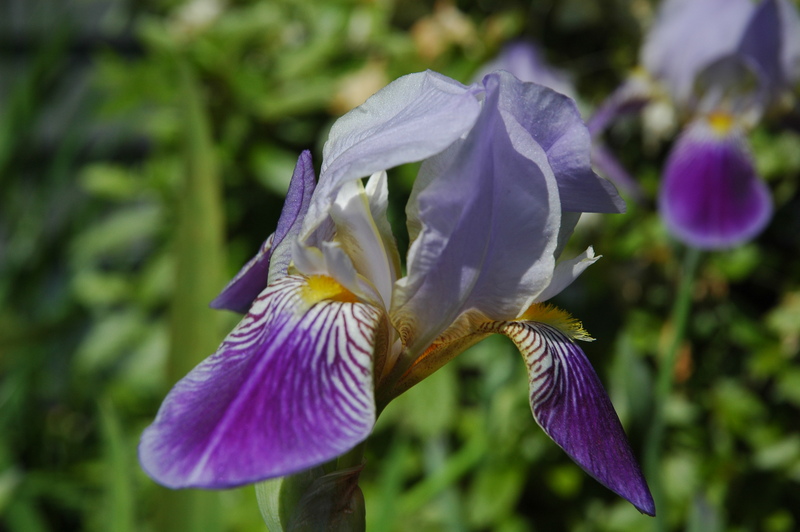 In ancient times, the Iris was considered a symbol of power and majesty, the three petal segments representing faith, wisdom and valor. May I be like the Iris, representing faith, wisdom and valor. When the time comes I will ride the rainbow bridge from earth to heaven bringing messages to loved ones. May that time be long in coming. I am Here. I am Loved. I Love others with my whole heart. I’m human, not perfect. I continue to strive to reach those ideals daily. Happy, Healthy New Year to all my family and friends! Remember to enjoy every moment of each day. Ninja Buddy and I greet the New Year with a walk on a mild 36 degree morning with a light wind and cloudy skies. The snow covered ground reminds us it is winter after the above normal temperatures in December. Take each day as it comes with as much love and gusto that life offers. Next Post Tree People, That’s Me!